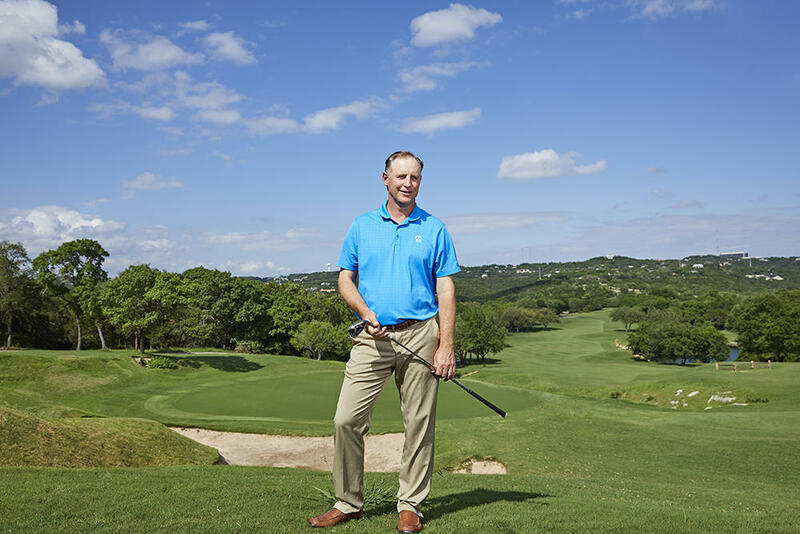 Phillip Marburger, the Director of Golf at Omni Barton Creek Resort & Spa, came to Austin in 1988 to attend the University of Texas. He has been in Austin for 29 years and in the hospitality industry for 28 of those years. What he loves most about his job are the amazing people he gets to work for and with every day. Phillip credits his relationships that he’s formed through the years that have impacted him the most. He has had some great mentors that took the time to cultivate and encourage him throughout his career. Jackson Bradley, Brent Buckman, Chuck Cook and George Hannon all played a major role in his development in the golf industry. Photographed at the Omni Barton Creek Resort & Spa.